After a long day at the beach, enjoy your nights with the family. 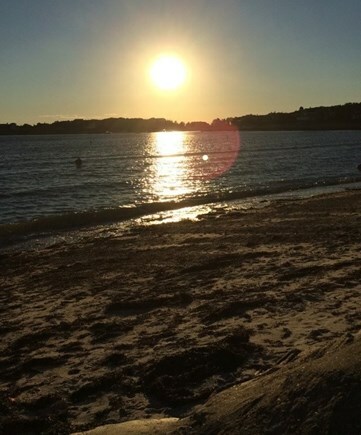 Spend your summer vacation in the quaint village of New Silver Beach. 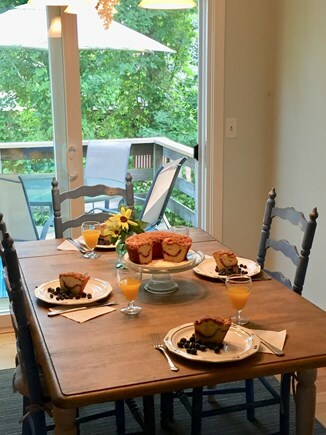 Our four bedroom, two full bath home is in pristine condition with all the amenities to make you comfortable. An outdoor shower will be added in the Spring of 2019. 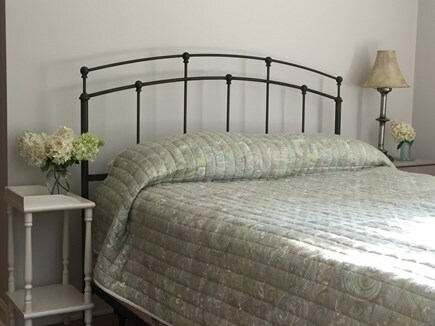 Two bedrooms have a queen size bed, the other a full size. 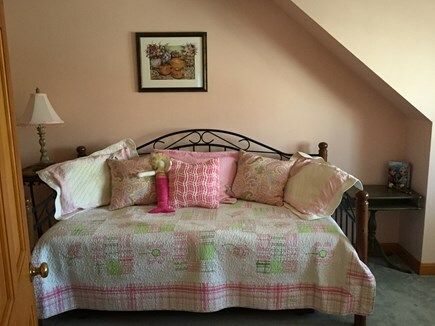 Young kids love the smaller bedroom with a day bed that includes a trundle. 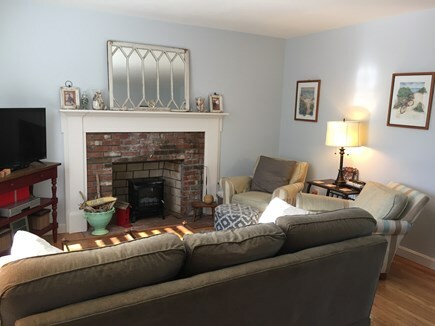 Cable TV, Wifi, DVD/VCR with a library of movies; completely equipped kitchen, washer/dryer on the second floor, and two A/C units keep the house comfortably cool. A garage will house your bicycles and there are plenty of beach chairs for your use. 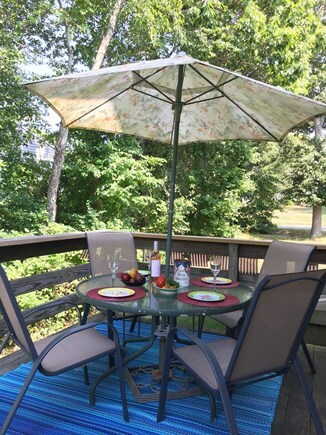 A comfortable deck and gas grill are all you need for an easy family cookout at the end of your day. Don't want to cook? There are several restaurants close by such as Red's at the Seacrest Hotel at Old Silver Beach. Discover all the Cape has to offer. 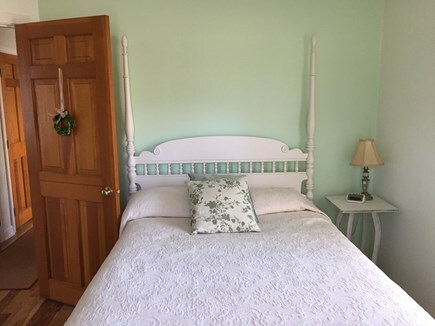 Old Silver Beach is a 10-minute ride from the house; a bathhouse and snack bar are conveniently located steps from the beach. There are other picturesque beaches in the area as well. The ferry to Martha's Vineyard departs from nearby Woods Hole, and it's only a 40-minute ride to the Island. Additional availability info: Flexible on arrival/departure date. This is a Saturday to Saturday vacation rental. 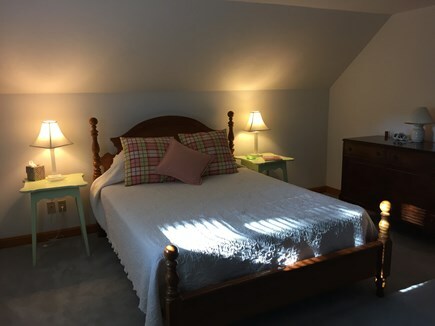 Long-Term Rental (1 month or more): September - June $1,700/month includes utilities. Additional pricing info: Discount available for multiple weeks.. Cleaning fee $150.00. Must bring your own linens, pillows. State and local taxes of 12.45% will apply. We've been summer renting on the Cape and in Falmouth for over 10 years, and this is by far the best home for us. 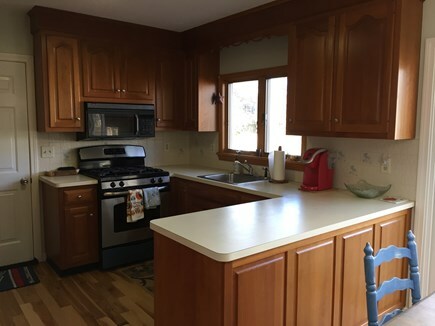 The location and accommodations are terrific, as the home is extremely well maintained and obviously loved by the owner. We highly recommend this house, but please don't take the weeks we want to use next summer! Hi Steve, I appreciate your kind words. Yes, I do love the house and glad you loved it too. Let me know when you want to come back. My family & I rented this house for a week in July, and we cannot wait to come back next year! Thank you, Jenna. I'm glad the house worked out for you. Let me know when you want to return in 2019. This location was ideal for walking to the beach. 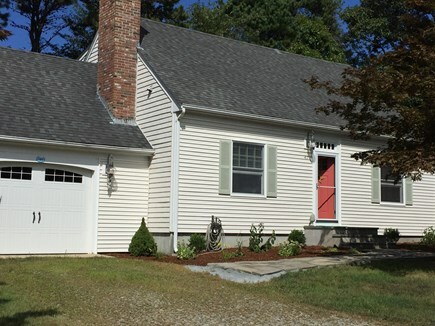 Close to Downtown Falmouth & close to excellent restaurants. The house itself is immaculate & all 4 bedroom were a good size. The owner, Diane, was very easy to deal with, very responsive and very thoughtful. We highly recommend this property for anyone. In fact we are trying to figure out another week to stay before the Summer ends! I'm glad you enjoyed the house, Trish. Our little neighborhood is special. Our father purchased the land the house sits on in the early 1960's. Every year he would say ''I'm going to build a house on the Cape''. He passed away in 1985 and we decided to build his house. You'll find our home cozy and peaceful and our year-round neighbors are awesome people. New Silver Beach is a great little community and only a 5 mile ride to Old Silver Beach. 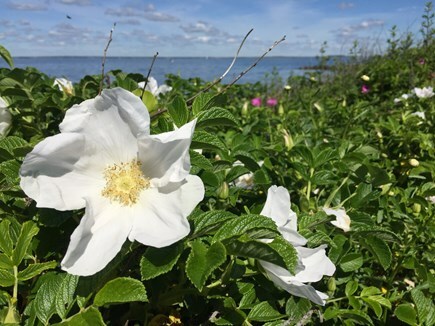 There are a lot of great beaches in our area such as Chapaquoit and Megansett to name a few. Rte 28 is easily accessible to take you anywhere you want to go on the Cape.